As many as 262 bottles of foreign liquor were seized from the car at the encounter site. 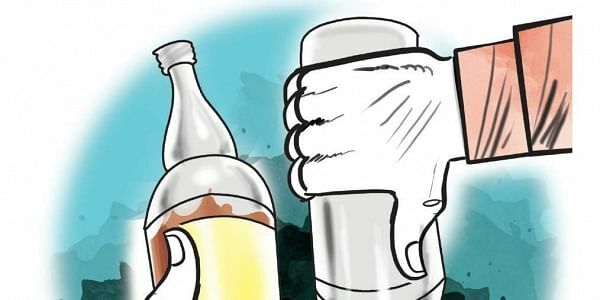 PATNA: A day after Bihar Chief Minister Nitish Kumar vowed to do everything to make prohibition a total success in Bihar, a police havildar was killed and a police station in-charge was left injured in a gunfight with liquor smugglers in Samastipur district. Bihar Military Police havildar Anil Kumar, who received a bullet in his chest, died minutes before he was admitted to a hospital in Samastipur. Manoj Kumar, the in-charge of Sarairanjan police station, is undergoing treatment for a bullet injury in his arm during the attack on Monday. “The smugglers, travelling in a car with a UP registration number, fired at the police team that tried to stop them on the road. The policemen also fired back, and the exchange continued for over half an hour. The smugglers managed to flee,” said Samastipur SP Deepak Ranjan on Tuesday. As many as 262 bottles of foreign liquor were seized from the car at the encounter site. “Details are being gathered about how the firing began and progressed,” the SP said.